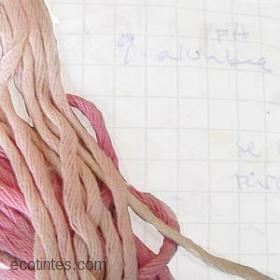 It is done in skeins, they should measure between 60 and 80 cm long, and up to 300 grams each. The dye lots are 12, 22, 44 and 65 kg samples and special orders have no minimum. 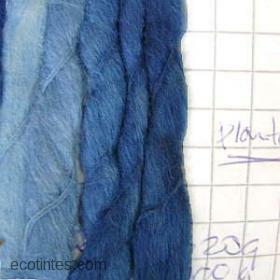 Ecotintes dyed cotton, wool, alpaca, flax, hemp, angora. Also regenerated cellulose fibers and some synthetic such as nylon. For any mixture of fibers or fibers not listed, we can test for free. 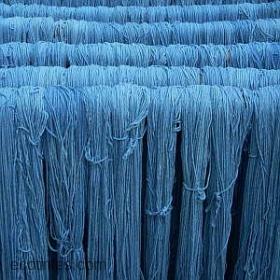 The dyed skeins low pressure and temperature to ensure maximum protection of the wires from physical damage and heat. The process for dyeing an order includes: choice of color and / or shipment of samples. Preparation of sample material against the client. Confirmation of the color and order. Fixing the date of delivery and service contract. Order processing. Delivery.